Dr. St. Germain's primary areas of practice are emergency nursing, forensic nursing, and intensive care nursing. 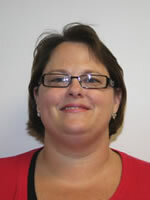 She has many years of experience in a level I trauma center in the emergency department and trauma step-down unit. Also, she has worked as a death investigator in a local coroner's office, practitioner in a local child abuse evaluation center, and legal nurse consultant. Current areas of undergraduate teaching are emergency nursing, forensic nursing, medical-surgical, and critical care nursing. Past areas of teaching have included pediatric nursing, nursing management in healthcare, foundations in nursing, health assessment, and psychiatric nursing.